thatsumsitallup | "And it's Tony Adams put through by Steve Bould. WOULD YOU BELIEVE IT?! That sums it all up!" Here’s a response from my personal blog about the write-up I posted yesterday questioning Arsenal’s backroom staff (http://www.fresharsenal.com/why-do-arsenal-get-so-many-injuries-the-truth/). I’m happy to say that it’s got almost 8000 reads and kicked up debates all over twitter. This is exactly what I wanted; get an audience and some people scratching and even nodding their heads. I’ve also got a lot of stick for it, but I’m not going to let it faze me at all. Firstly, I’d like to say that I did cross the line a bit in my article wherein I concluded that it had to be the staff who were at fault. That is not a fact, it is merely my opinion and I admit that I should not have drawn those conclusions. I am not qualified in this field, but this topic got me curious and so I did do some research, only to find stats that SUGGESTED what I was saying was right. 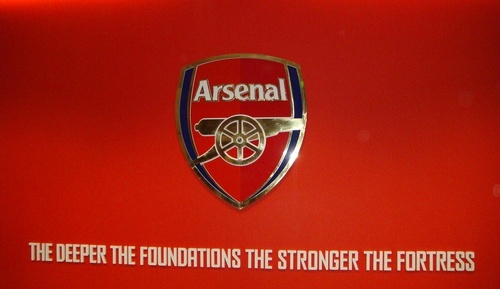 In saying that, the title which initially had read “Why do Arsenal have so many injuries? The truth” was done by the editor of the website. My title was “Sicknotes; an analysis on Arsenal’s injuries.” It’s not the truth. I can’t prove that it is. Those and these are my views and thoughts. As I said to someone who commented; Questions need to be asked, and if it’s going to take a small-time blog like this to kickstart it, I won’t hesitate. I want what is best for my club. Coming back to the blog; I did some more research about the medical team and some others’ analysis of it. I came across one brilliant piece on ArsenalReport; http://www.arsenalreport.com/editorial/misfortune-myth-or-neglect-arsenals-injury-problems-investigated/. This blog was done over a year ago now but all the points made still stand. The write-up also includes some comments from a person in the field, who is a physio. I suggest you all take a look at this in-depth analysis, which backs a lot of the points I made myself. A lot of “theories” are disproved in it, such as; more possession/style of play means more injuries. 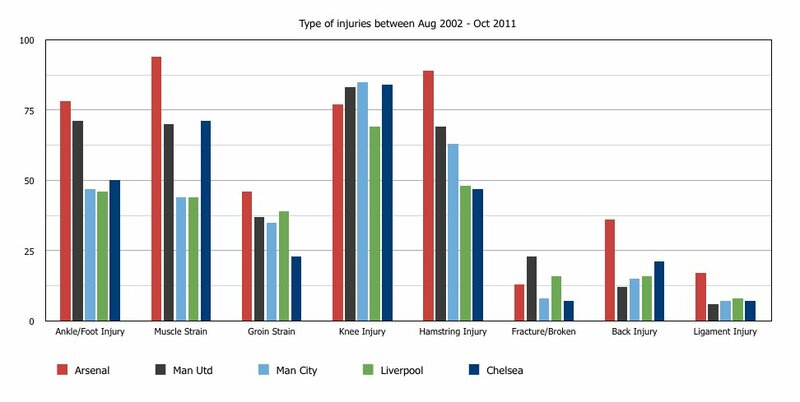 It also shows the significant rise in amount of injuries since Gary Lewin’s departure, which I talked about in my piece. Stats here suggest again that I was right in saying so. This article shows that majority of our injuries are ones that are caused due to wrong/too much training rather than actual impact. This season alone so far, the players who have suffered from soft tissue injuries are Mikel, Theo, Poldi, Santi, Rosicky. Only Ox was an impact one, apparently. Yes, I know that some of these were done while away with international teams, but we aren’t the only club in the world who has players who represent their countries. With better preparation, these could have probably been avoided. “You look back the last few years and look at the injuries and it is not a couple of weeks or even a month injuries that Arsenal have racked up. “You look at Robin van Persie, this is probably the first season he is injury free. And Tomas Rosicky. Key players have been out for long, long periods. It is something I would have a look at, the medical side of the club. Again, suggesting that these injuries numbers are not normal. They could have and should have been avoided. “This is a painful issue both for me and for the team I play for now. We need to do something to avoid it in the future. If it was only my own problem I would agree that it is my fault. That the Premier League is too hard for me with too many games etc. The Mirror being the Mirror labelled it as “hitting out” which is nonsense. It did not say that he complained at all, and just talked instead. These remind me instantly of the Pato quotes I mentioned in my initial blog. If that does not raise an eyebrow, I don’t know what will. “It was also addressed that Diaby used this personal trainer during the 2009-2010 season where he managed a career high 29 appearances for the club. However, the club forced Diaby to lose the personal trainer and revert back to the club’s trainers. As a result, Diaby’s condition regressed and he was once again injured. This was in September 2012, and Kieran Gibbs has hired a personal trainer himself and spoken about it just over a week ago. It simply does not add up. If the staff were so good and up-to-date, why would external help be needed at all? I particularly got abuse from supporters who follow Arsene Wenger blindly, who refuse to even believe that he might have done wrong. I’m neither a WOB nor AKB, but at all times, I want what is best for the club. I will get some responses like “He stuck up with Pires/Giberto/Ramsey/Per” but that proves my point exactly. It’s his best attribute and also his worst. The ones who did indeed attack me did say that I could not prove any of this, which is true, but have not addressed these stats and quotes, simply branding my entire blog as “load of shite.” Fine, as I said, I went too far in saying that it was DEFINITELY the staff, but I am all ears to your reasoning about how it is not their fault. I still have not got any, and I have stats backing every single point I have made. Go on then. Prove your point. These are my views and my opinion. I just think that there is something seriously wrong with the injury situation, which needs to be addressed. My OPINION is that it is indeed the medical and fitness teams, but there’s nothing set in stone. But our formation is not. It’s as simple as that. I have always supported Arsene’s decisions and he is the most successful manager in Arsenal’s 126 year history and is responsible for the club we are today. But, personally, after some thought over the last three weeks, I think some questions need to be asked and problems addressed. Don’t get me wrong. By no means am I saying “Sack Wenger!” For as long as he is in charge, I will back him, but it doesn’t mean I cannot criticise constructively and question. Our first flaw, as every Arsenal fan would tell you, is our predictable tactics and formation. 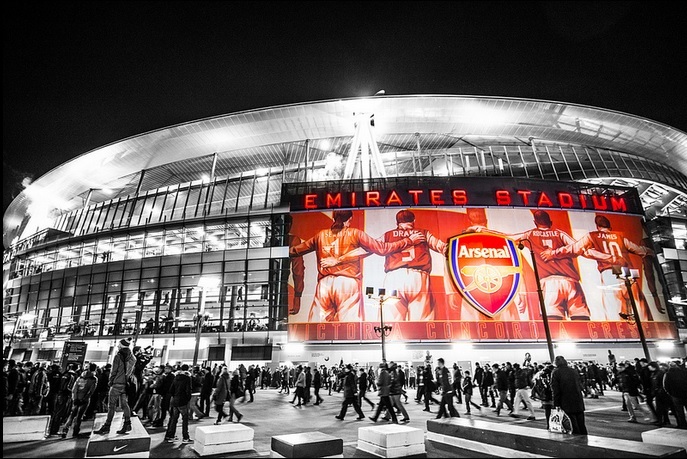 Opponents can read Arsenal like an open book and expect exactly what our game plan will be. Teams from Norwich to Man United have dealt with our side in different ways, and it’s obvious that we’re far too predictable tactically. I hate taking United as an example to prove by point, but it has to be done unfortunately. In our 2-0 FA Cup loss at Old Trafford in ‘10/’11, Ferguson fielded seven (YES, SEVEN) defenders, with the quick da Silva twins on either side of midfield and O’Shea alongside Gibson between them. He knew that we would be susceptible on the counter attack and even though it meant starting with an unconventional and strange eleven, it would be enough to catch us off-guard and beat us. Similar to that, Ferguson has tinkered and tweaked with his formation and system throughout this season so far. In the absence of wingers, he tried the diamond formation and moved to 4-4-2 when necessary. That’s when I wonder why we didn’t even try and accommodate a different formation, especially when three of our first choice wingers are unavailable. I hate to say it, but Arsene has been stubborn tactically. He made quite a big change to our system to bring the best out of Cesc, but he jumped ship and we’re trying the same system with different personnel. That simply hasn’t worked out because the players we replaced Fabregas with are very different, and although Santi is outstanding, he’s s different player. If you follow City on a regular basis, you’ll notice that Mancini almost always never keeps the same formation. He started with a 3-4-3 last night and has gone with a classic 4-4-2 and sometimes an unorthodox 3-5-2. This change in strategies and system keeps opponents guessing and although it sometimes doesn’t work out, they have the option of switching back to the formation they are most comfortable with during the game. I sometimes wonder why we constantly put Ramsey on that right wing and Gervinho upfront, because they are out of their comfort zones in those respective positions and are used as scapegoats if things don’t go well. Ramsey is arguably in the side on RW to play the “Benayoun role” where we intend on keeping possession and controlling the midfield area, but if we’re going to have a battering ram in the form of Giroud upfront, why not play to his strong point, which is obviously heading the ball? 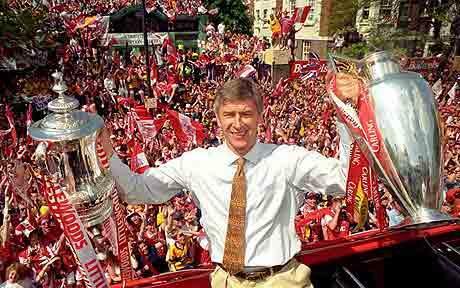 Something else which I haven’t seen in Arsene in a while is his man-management that he used to be known for. One piece of exceptional man-management this season is suprisingly from Roberto di Matteo. RDM gave Mata an extended holiday after the Olympics so that he could come back fresh and raring to go. The Italian was initially questioned as Mata was arguably their best player last season but look at how that’s paid off. The Spaniard’s been outstanding for The Blues so far. Arsene used to be able to motivate players a lot, especially after they suffered some disappointments. After Domenech left out Nasri from the ’10 World Cup squad, Arsene stepped in and guided the young Frenchman to the best season he’s ever had individually. He was very close to winning the PFA Player of The Year and was unplayable at times. 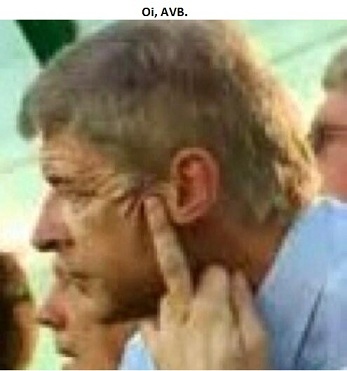 I wonder why we don’t see Arsene handle situations like he did on so many occasions before. Another chink in Arsene’s armour is how he rewards mediocrity. Manuel Almunia cost us the Champions League final in Paris with two blunders and what happened the following season? He was handed the number one shirt. 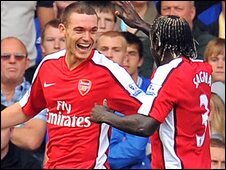 We have also had to put up with players like Eboue, Squillaci and Park, who simply aren’t fit to put on an Arsenal jersey. I am happy that Arsene has accepted that they are not good enough and he’s tried to get rid of them, but we need to step down on mediocrity heavily. We can spend those wages on ore capable and reliable players. One person I have stood by and defended for a while is Andre Santos. But yesterday, we saw that he playfully asked RvP for his shirt at half time, when we were 1-0 down and he was especially getting battered. What’s next? Ask him for an autograph? Was he thinking about what colour frame would go with the shirt during the first 45? That might’ve explained where his mind was. Yes, he was not at fault for either goal, and, yes, Santos has been unnecessarily given the blame a lot of times this season, but the fact that he asked the person who is the most hated player by Arsenal fans right now for his shirt says a lot about him and the mentality of our team. You think Keown would’ve done that? Martin would’ve given him a kick on the ankle when the ref wasn’t in sight. Speaking of mediocrity, I feel the biggest mistake of our season so far was making Vermaelen captain. We did back ourselves into a corner by making him deputy to RvP last season, but he’s definitely our third best CB and because he wears the armband, we cannot rotate them. Mikel would’ve been a superb captain simple cause he’s a fighter. Santi and Jack, in separate interviews, surprisingly spoke about him being the leader, with no mention of the Belgian. To me, we have got to do what’s best for the side and the club and if that means benching our captain, so be it. The one with the armband has to be the person setting the example for the rest of the team, which lifts the spirits and gives the other 10 men a sense of belief. I’m not saying that the captain has to go on yelling at his teammates, but sometimes it just takes a hard tackle to be slammed in to motivate the rest of the team. 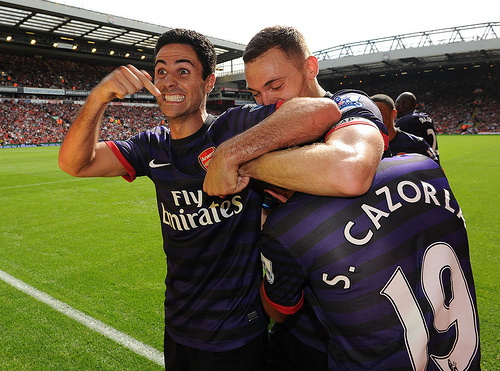 I’m afraid Vermaelen doesn’t do that. Coming to the AGM, which took place a few weeks ago. People were very angry with Arsene’s words, where he said that getting fourth place is more important than the League and FA Cups. I 100% agree with that statement. 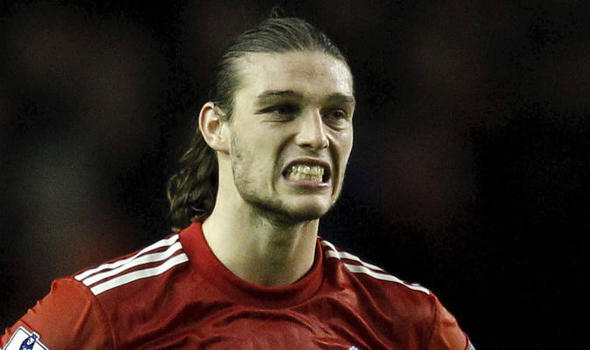 Would you trade our season last year with League Cup winners, Liverpool? I definitely wouldn’t. But I do partly disagree with the fact that only Champions League sides attract top players. We finalised the deal for Podolski well before we had secured 3rd place last season, and Santi joined Malaga when they had finished their season in 11th place (in ‘10/’11) and had no CL football. I’m sure we can still attract talents from all across Europe, so why not aim for a top four finish AND the cups? The main reason I think we need a cup is to get that winning and big game mentality, which we lack dearly. Sorry to be taking the example of moneybags City again, but it is very relevant here. In that calamitous ‘10/’11 season, where we somehow dropped from 3rd to 4thin the end, with City leapfrogging us, they also quietly went on to win the FA Cup. The next season, they were obviously fuelled with hundreds of millions of pounds, but there was something about them that set them apart from the other teams. They had a never-say-die attitude and even when things were going against them completely, they grinded out results and went on to win the Premier League. That’s what belief does to you. They had been in similar situations before and knew how to get out of them. I also feel that Chelsea winning the FA Cup last year also gave them a big boost mentally when they walked onto the pitch to face Bayern. That’s why I think it’s essential that we go after the cups this season. We are in the Quarterfinals of the Capitol One Cup, with Chelsea as the only other “big team.” We should field our strongest XI and give it our best. Yes, both the domestic cups have dropped in the list of many clubs’ priorities, but they are trophies, all the same. Who knows what could happen next season if we finish top four with a cup or two? I’m no fortune-teller, but I’m sure that we’d step onto the field with a lot more assurance and faith in ourselves than we did before, only because we have proved it’s do-able. One major positive from the season so far has been our away fans, who have out-sung the majority at most stadiums this season and I tip my hat to them. Singing “We love you Arsenal” for the last 15 minutes at Old Trafford was a superb, but it pains me to say that our fans aren’t going to be winning us games and trophies. They have done the best they can to encourage, and have left the rest to the eleven Gunners on that pitch. Another point I would like to add is about Robin van Persie. When he issued THAT statement for us, I wrote a post where I said that he would not receive the same service like he did at Arsenal. I’ve accepted that he’s the most complete striker in Europe and has fit into that United side like a glove. Sadly, he is proving that the move is the right one for his career, as we simply do not look capable of winning the title. But that DOES NOT make what he did right and I still absolutely hate him for holding Arsene to ransom after he single-handedly shaped his career. In conclusion, I really hope that we do find some possible solution soon as we’ve got a very tough set of games coming up and we cannot afford to fall behind further. I still think Arsene is a footballing genius, but he has to accept that there are problems which need addressing. I’d like to finish with a line that I have before on a few occasions. The harder things get, the louder I’ll sing. Come on, Arsenal. Follow me on twitter: @GodisDutch10. Over the years, Arsenal have been plagued with problems at the back and have been forced to field make-shift back fours due to injuries, especially where we had all four fullbacks out for many weeks last campaign. Our best defender last season was undoubtedly Koscielny, and he still hasn’t started a single game this season. He was ruled out of the first two games due to a minor injury while playing for France, and in his absence, Per Mertesacker has pulled off some amazing performances. Per’s superb partnership with Vermaelen, forced Arsene to keep Laurent on the sidelines. Hell of a substitute to have, eh? 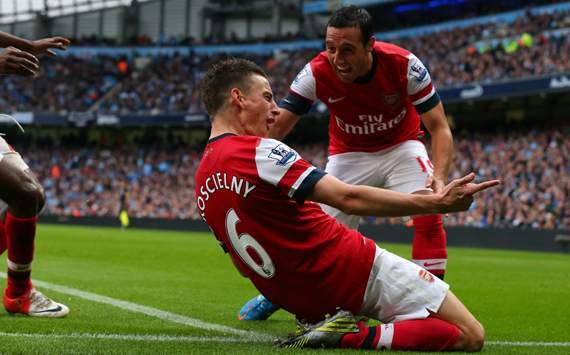 Kos did start at the Etihad yesterday while our captain was down with the flu, and did look a bit rusty. Had Aguero stayed down after Laurent’s mistimed tackle, the referee would have definitely pointed to the spot. Kos could’ve maybe also done better for Lescott’s header, but made amends with a centre forward’s finish late in the second half. 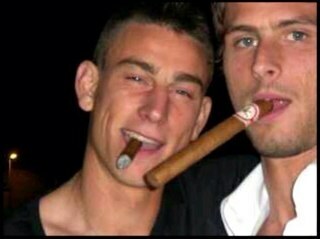 I’m confident we’ll see the Koscielny of last season once he gets a couple more games. I reckon he will start alongside Djourou against Coventry mid-week. It’s safe to say that I’m comfortable with any of our three talented Centre Backs starting next weekend against the Chavs. I personally think Wenger will stick to the Vermaelen-Mertesacker partnership as it’s a massive game and having two very vocal defenders to guide the team is important. Coming to our revelation at the back this season. Cafu, I mean Carl, Jenkinson. He’s another rough diamond unearthed by Arsene. Just around a year ago, he was on loan from Charlton at Welling United, a tiny club which plays in the Conference South and look far he has come. What a buy. Standing at 1.85m, he doesn’t look like a traditional fullback and there were many, many doubters, but, oh, how he has silenced them. Jenkinson has developed and matured a lot over this last summer. The most immediate change that struck me is his running style. He honestly used to run like he had shat himself, but now appears to have worked on that and it looks like it’s helped him a lot. He’s also now very comfortable on his left foot and is ready to dribble with no hesitation; two things we hadn’t seen much of last term. If you remember, in the away leg versus Udinese, we started Sagna, one of the best RB’s in the world at LB, while Carl started in his favoured position. I understand that Arsene might’ve been hesitant to start Armand Traore on the left, but I’m also quite sure that he knew Jenkinson wouldn’t be too comfortable in that spot either and would be a far better starter to have than the 22 year old from Senegal. Gary Neville, my new favourite pundit, said this after our draw with City last night: “I don’t know him [Carl Jenkinson] well but he looks like a kid that would be willing to run into a brick wall for you.” That’s exactly what we need. We don’t need a flashy player who demands big wages. I’d much rather have a gritty and determined team member who will give his 100% every time he steps onto the field in white the cannon on his chest. I can’t believe I’m saying this, but if Sagna refuses a deal, I won’t be too disappointed if Carl keeps up these good performances. 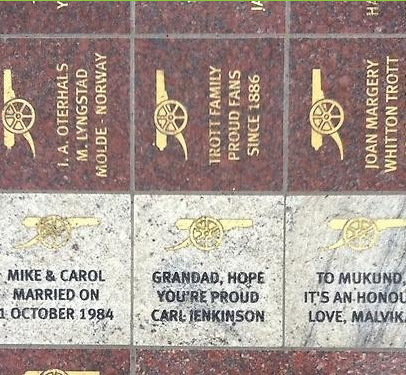 This picture of the stone Carl had placed at The Armoury says it all, really. He’s a Gunner through and through. Roy Hodgson better act quickly and call him up before he gets a senior cap for Finland and becomes ineligible to play for the Three Lions. Our two Centre Backs and stand-in Right Back have been getting a lot of necessary phrase for having just twice in the Premier League campaign so far, but our unsung hero in the back four is unquestionably Kieran Gibbs. He’s another young English full back who Arsene has nurtured and eventually made into a formidable force. Gibbs used to often play as a midfielder for the U-18’s and Reserve squads, sometimes on the left flank and other times in the middle, but I’m sure the boss knew that he could put his speed and defensive abilities to good use by playing him as a Left Back. To other fans, he’s certainly (in)famously known for slipping and gifting United a crucial away goal in the ’08-’09 Champions League season, and they think he’s remained at that level. But us Arsenal fans know that he’s improved tenfold since then. With help from Steve Bould, his positional awareness has progressed a lot this term and he now knows when to burst forward and when not to. The number of late overlapping runs is something new we’re seeing from Kieran. As long as he stays fit, Gibbs will continue to improve and will chip in with assists and some goals and more importantly help our defence concede as few goals as possible, which is the most vital on Bould’s agenda. The reactions of Arsene and Steve after Southampton scored a goal from no where when we were 4-0 up says it all, really. 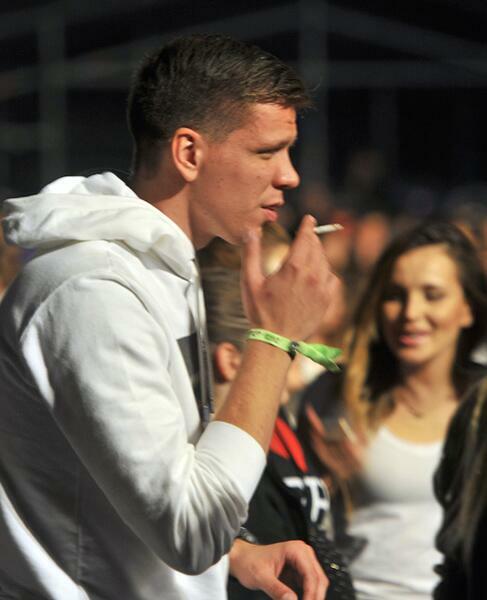 They looked like we were 4-1 down and were visibly very unhappy with Szczesny’s terrible error. I’m glad that our defence has been relatively water-tight so far this season and hope we continue this fine form, because we know it’s our only weakness. We will score goals, but not conceding them will be a big challenge and I think it’s safe to say we’re up for it. No Robin. No Song. No problem. When Thierry left in 2007, there were many questions marks around who would take over as our main goalscorer. But, as you know, there wasn’t one main man who has handed the reins as the goals were scored by all four of our strikers. Adebayor, who scored the majority of them, Eduardo, Bendtner and van Persie silenced most of the critics. I honestly think there’s a very similar situation today. I must admit, depending so much on Robin van Stapl-er…Persie last season was a big gamble and I honestly don’t know how last season would have turned out if not for him. With him leaving, I hope the burden is shared not only by our strikers, but also our midfield men, too. Tactically, there’s not much changed this season in the midfield and forward positions. The only difference is that now we aren’t playing with a traditional Defensive Midfielder. 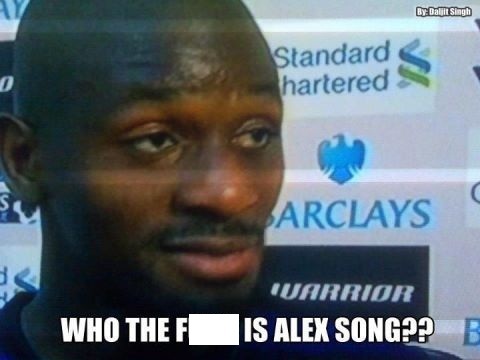 (But, a lot of people argue that Song wasn’t a proper DM, just our most defensive midfielder. Big, big difference between the two.) This term, we’ve gone with a double-pivot of Arteta and Diaby, but most of the defensive duties have been handed to the Spaniard, who has welcomed them with open arms. It’s quite hard to believe that Moyes used to play him so far up the field, sometimes just off Cahill. With no-nonsense tackles and interceptions, he’s used since the beginning of last season, it looks like he’s been a DM his whole career. 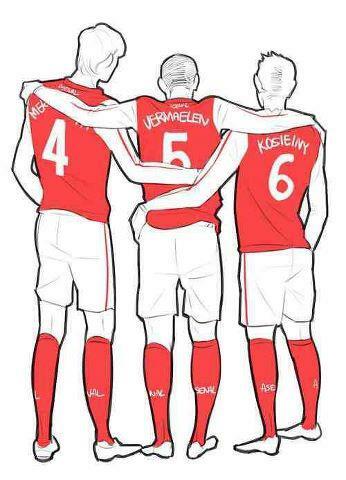 Mind you, we had Cesc, RvP and Samir back then. Arsene obviously knew that a fit Diaby would give them a run around. One thing that is his playing at the back of Diaby’s mind every game must be not to stretch his hamstrings. I noticed that Abou didn’t go in for a lot of 50-50 challenges at Anfield and this hesitation will be overcome with time and I think he will be back to his best soon. With Diaby’s injury record, we have to be very careful with how much football he plays. Keeping him injury-free is vital as then we don’t have to rush Jack back and we can him ease back into first team football. Squad depth is necessary and I think Jack will rotate with Abou when he’s back and young Coquelin can deputise for Mikel in his absence. After the international break, we’ll have a lot of weeks where we will play 3 games, so I’m sure we’ll see a lot of fresh faces soon. Coming to three new signings. Out of these recruits, Santi has indisputably had the best start to this term. It doesn’t seem like he’s a newcomer to English football and I feel he’s the closest thing we’ve had to Cesc. Personally, I think he can have a bigger impact with the goals than Cesc did because he’s one of the most two-footed players I have ever seen. (I’m sure Pepe Reina can vouch for this.) He doesn’t hesitate to let fly from a distance with either foot and this is an asset for any team. Just £12m for him! It’s been little more than a year since I’ve seen a small guy in an Arsenal jersey with number 19 on the back absolutely dominate the midfield. Oh, how I missed it. The prospect of having Caz and Jack in the same midfield is mouth-watering. Lukas Podolski, our first signing of the summer, also has been a vital addition to our squad. Not only will Poldi chip in with the goals every game, but he gives the back four a bit of assurance by tracking back and helping them out. He also likes to cut in, which allows Gibbs to overlap and have a go on goal or cross it in towards Giroud. He adds heaps and heaps of experience and he’s out to prove that he doesn’t only perform every two years in the international tournaments. The next new boy is Olivier Giroud. He has looked a bit off-pace and my theory is that Ligue 1 is a much slower league compared to the Bundesliga and that he will take some time to integrate with the new side and speed of the league.His off the ball movement has been exceptional. For Poldi’s goal at Anfield, Giroud pulled towards the right hand side of the pitch, dragging the LFC defender with him. This allowed Cazorla the time and pace to pick out a neat little pass to the German, who slotted home easily. He also drops deeper when we don’t have the ball, something which RvP rarely did, and helps in gaining possession. A lot of Gunners have been giving him some flak for missing some chances, but they should remember that it took Bergkamp 8 games, Henry 10 to score their first goals for Arsenal. I’m sure he’ll do well. It’s just one goal that is needed for him to gain the much needed confidence. 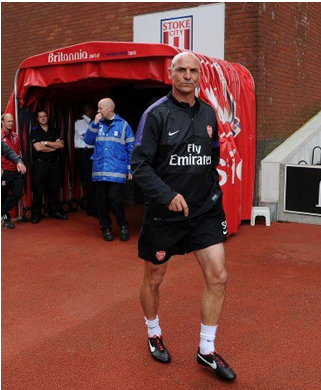 On a different note, I think our signing of the season has been Steve Bould. Clean sheets are something that aren’t usually associated with Arsenal, but that’s all changed. Having him as the new assistant coach has looked like a great move so far. With all repesct to Pat Rice and all that he did at Arsenal for 44 years, I think the players needed some tough to overlook the proceedings and bark out orders. 1. Zonal marking. We had conceded the most number of headed goals in 2009-10 and it was our Achilles Heel. Teams targeted set piece situations to gain an advantage over us. With Steve Bould coming in, he’s re-introduced the zonal marking system, which gained popularity during the legendary back four days. I was most impressed by our defensive work at Stoke. We dominated all areas of the pitch, as usual, but still did not give in the brutes when they bombarded us with the long throws and corners. 2. Holding a line. Everyone expected us to play a high line of defence, but Bouldie chose to have them line up a bit deeper, probably not to over-commit so early in the season. Another important change is that it’s our CB’s who are the last line of defence, with the fullbacks ahead of them. 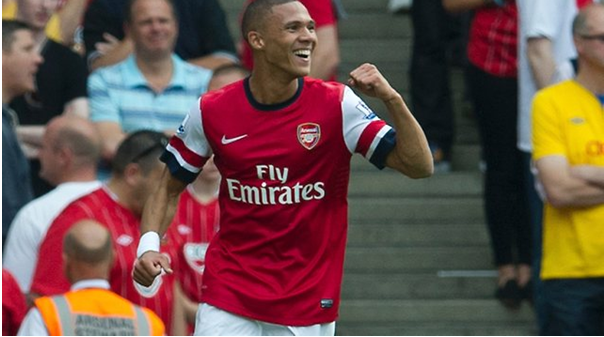 Lots of times over the last few seasons, Clichy and Gibbs were often caught dreaming and playing forwards onside. 3. The balance between attack and defence. Chamberlain might not have had the best game at Anfield going forward, but people tend to overlook how much he helped Jenkinson on the right wing. They complemented each on the flank and it was important as Sterling and Enrique are quite a force in attack. This balance can also be seen with Arteta, who covers for the fullbacks, especially Gibbs, when teams are counter-attacking. 4. Off the ball rigidity. When we have the ball, we play almost a 4-2-3-1, but when the possession is with the opponents, we switched to a 4-5-1. This asks a lot of the opposition as they need to really spread the ball quickly, something we’re better than almost all teams at. This disciplined formation helps the defence a lot and we’re a lot less vulnerable to shots on goal. 5. Our set pieces. Steve Bould himself claimed that he went bald after all those near post flick-ons, and he’s deployed Mertesacker in that exact position to do the same job. But, I’ve noticed that we don’t always aim for the near post. When Santi lifts the ball over his head before the corner, it’s a signal that it’s going to be a corner towards the second post. This variation keeps the opposition on their toes and always guessing.It also must be pointed out that Neil Banfield, our new first team coach, should be praised for our defensive stability. The ever-reliable Harry Dean (@AFCAMDEN) has said that Banfield’s the one who takes a lot of the training sessions and so he deserves as much praise as Bould does. In conclusion, I’d like to say that Wenger’s decision to change his right hand men, to me, is him admitting that his plan was a bit flawed and that he need new people to question him and help him out where needed. I’m glad he’s done this. A lot of fans were disappointed that we didn’t make more signings and replace Alex Song, but I think letting go of him was the best option. Egos are the last thing we need in a team going through a transition period. Martin Keown, a few days ago, said, “The intelligent Arsenal fans will be quietly optimistic about this season.” How right you are, Martin.